World Radio Day is commemorated on 13th February every year, and it's a day set aside to celebrate radio as a medium; to improve international cooperation between broadcasters; and to encourage major networks and community radio alike to promote access to information, freedom of expression and gender equality over the airwaves. The 2016 UNESCO theme for World Radio Day is "Radio in Times of Emergency and Disaster". 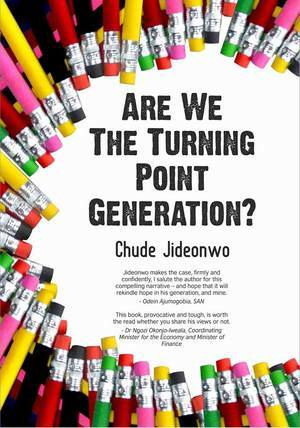 In this episode of #TheStroll, I speak with Lawyer, Journalist, and Media entrepreneur, Chude Jideonwo, on the rise of RED Media Africa, his book, "Are We the Turning Point Generation? ", and in the sponsored segment , #MySDGs, he shares what his favorite SDG is and how he plans to contribute to its achievement by 2030. Hope you enjoy our conversation. You can listen or download this interview on #StrollPodcast or read a summarized transcript below. Chude: What people can do depends really on the context of their own country, for example, people in Rwanda have a different challenge from people in Nigeria, and people in Nigeria have a different challenge from people in South Africa, and so it's really a knowledge-based approach that comes from understanding their own peculiarities. The problem we have is that people don't take time to study therefore, they repeat mistakes. I was reading something this morning that said, you can't solve a problem with the same thinking with which you created the problem. So there are a lot of young people who assume--and I said this in the book--that just because they're young, therefore they are incorruptible, or just because they are young they have the best ideas. That is a myth. That is not even logical. We need to look at the mistakes people who are ahead of us made, and then we need understand the questions before proffering answers. 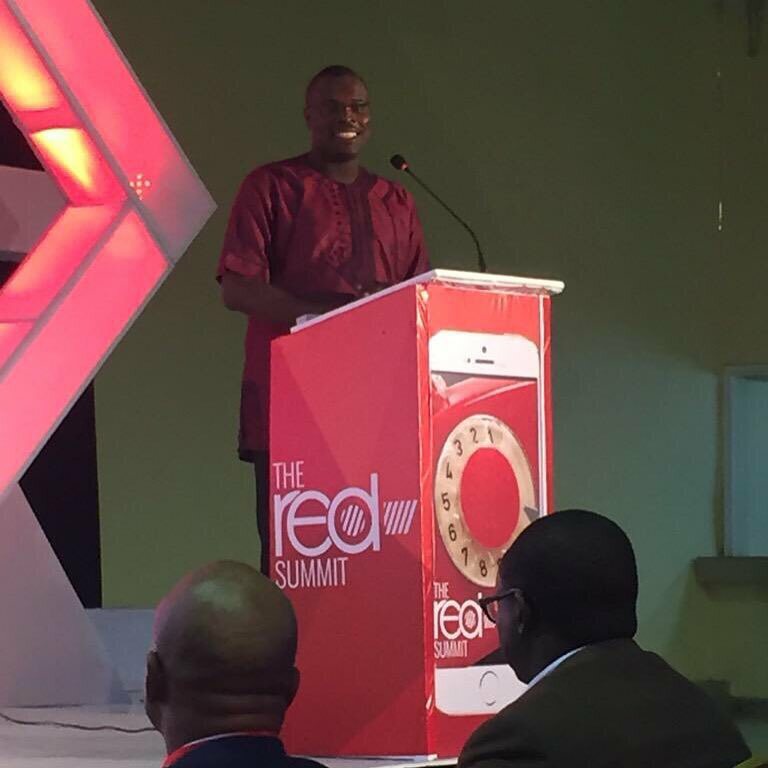 RED Media Africa: Why hasn't the empire expanded to radio? Chude: Yeah, No one can do everything. Even if you want to do everything you have to start with the things you do well first. As a company, much of our experience, much of our expertise and competence is TV and Video-based. So, we decided to focus on what we do well first, and then as the future emerges we can begin to think about other things that we can possibly achieve. So, it's a matter of, 'What do we do well", and "how can we do it even better? ", and then we can keep growing from there. #RadioSavesLives: How Did Radio Save your Life? Chude: Yes! Inevitably, Radio had an impact on me, growing up. For me, radio was all about music. 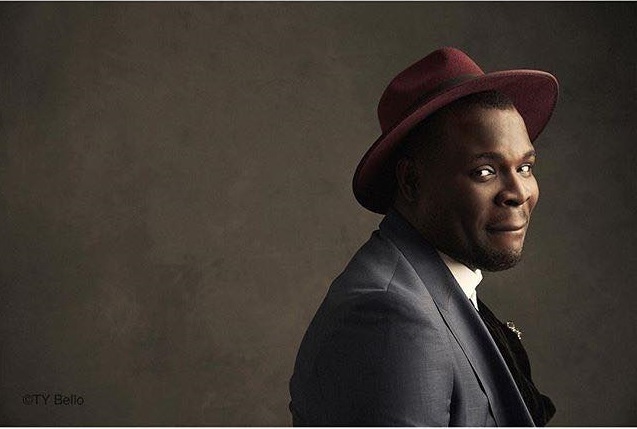 It's in course of watching Nigerian TV and listening to Nigerian radio that I began to fall in love with Nigerian content, and eventually decided to work on a company that is very passionate about Nigerian content. I keep reminding people that while I was growing up I grew up solely based on Nigerian content; radio, TV, print; and Nigerian Music, Nigerian presenters, and Nigerian everything! Many of my age mates were focused on foreign music and foreign content, I was focused on what was happening locally, so ultimately that defined me and the work that I am passionate about. Chude: I just finished watching a series called "Orange is the New Black", and it just occurred to me how powerful parental influence is, and if you've also read the book "Outliers", you'll understand how powerful the formative years of a person are. Anybody can be anything, and when you work and grow up in an environment where you're told that you can become anything, it goes a long way. I remember at a point I wanted to be an actor, my parents supported me, I wanted to be a singer, my parents supported me, anything I wanted to be, I had parents who supported me. 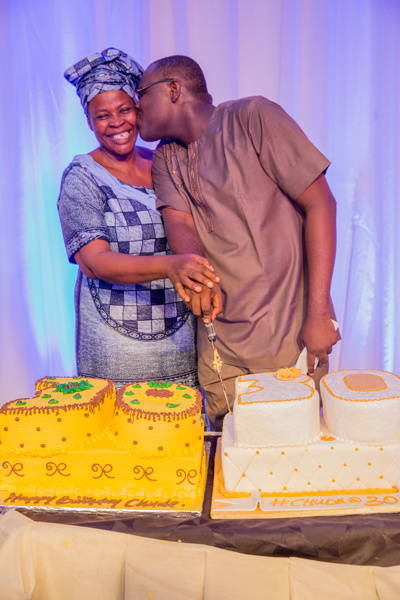 I had a mother who was never satisfied with wherever she was at any point in time; she wanted to do more, she wanted to be more, and she wanted to achieve more. When you grow up as a young person in that kind of environment, it's very difficult for anyone to convince you that anything is impossible. 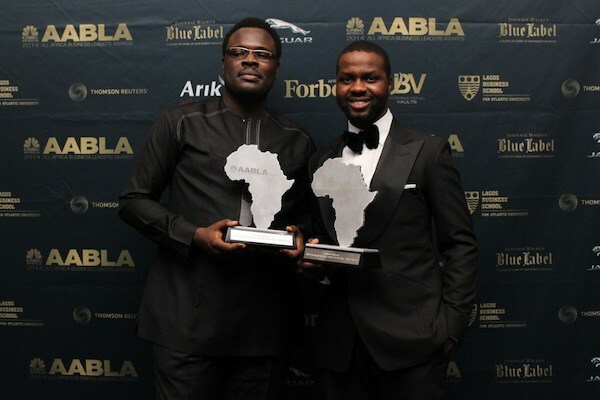 Chude: It's possible! I find out that whenever I answer this question honestly, people don't believe me. So I have decided to answer it in a heightened-honest way. So if I tell them that I have no plans to run for office they feel I am trying to leave the door open and all that. So I feel like politics is a honourouble and important calling--I'm not one of those people who feel that politics is so dirty, and they're so clean to be involved in that dirtiness. I don't know where life is going to lead me, at this point I have no interest in politics; I am not attracted to it in terms of the kind of things I want to do with my life at the moment, but a lot of things I am doing now are not things I thought I will be doing 15, 10, or even 5 years ago. So if I decide to do it, there will be no doubt on anyone's mind that Chude is going to do this. I'm not a coy person. So if I decide that the next step for my life is do this, then I'm going to do it, I' just going to do it. #MySDGs: What is/are your Favourite SDG(s) and how will you contribute to its Achievement by 2030? 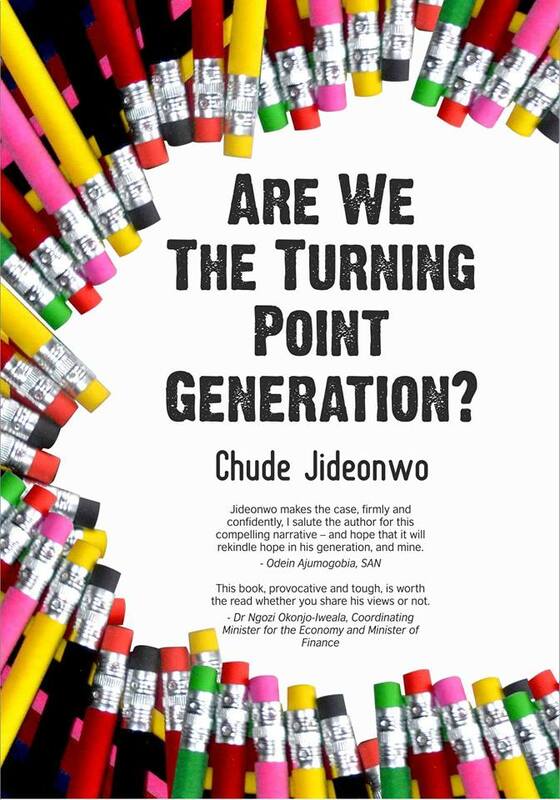 Chude: Starting from the second question, I've always told people generally that my work is media, and the reason why we formed the kind of media platform that we formed is because we want to help people solve problems, and so constantly I'm always looking for opportunities, I'm always working with people who are working in these different areas; helping them achieve their goals, reach their audiences, create movements, get people involved, and get them to sponsor, volunteer, and so it's sort of using the media as a bridge between people who have these goals, and people who can help with achieving these goals. That's where my work will really lie in terms of contributing to the SDGs. In terms of my favorite goal, Goal 8, decent work and Economic Growth, is important because all our work is focused on that. The Future Project's work is focused on two things; jobs and citizenship, and so obviously because of that we focus on trying to get young people into jobs, trying to create opportunities for young people to learn, trying to bridge the gap between when people leave the pipeline of school and how they get into the workplace; do they have the skills? Do they have the tools? Do they have the resources they need to succeed in their careers and their businesses? How can governments work in a way that supports young businesses and give them a framework to survive and thrive? That's where I am very passionate about, and that's where most of my work over the past two years and into the future is going to focus on.